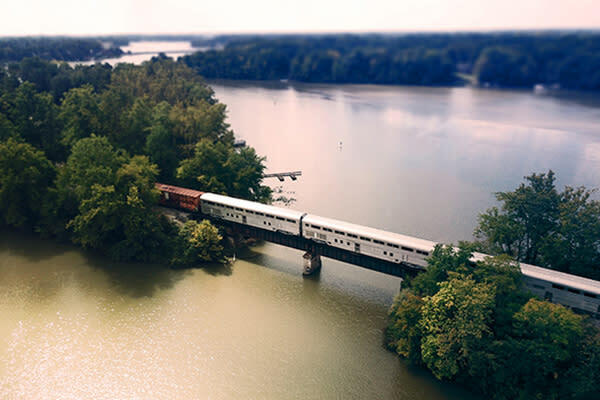 The Nickel Plate Express is a new, family-friendly train excursion in central Indiana, operating on 12 miles of track through Atlanta, Arcadia and Cicero. It boards in the town of Atlanta at 105 E. Main Street, just 20 minutes north of downtown Noblesville. Take US-31 north to 296th Street and drive east for five miles until you arrive in Atlanta, or take IN-19 north from Noblesville to Atlanta. The train consists of 1950s Santa Fe Railway Hi-Level passenger cars. All passenger seating is located on the upper level and guests must climb a small set of stairs to board. The Nickel Plate Express operates train excursions year-round, including themed excursions. These include the Pumpkin Express, Ghost Express, Ales & Rails Express, Reindeer Ride Express and more. 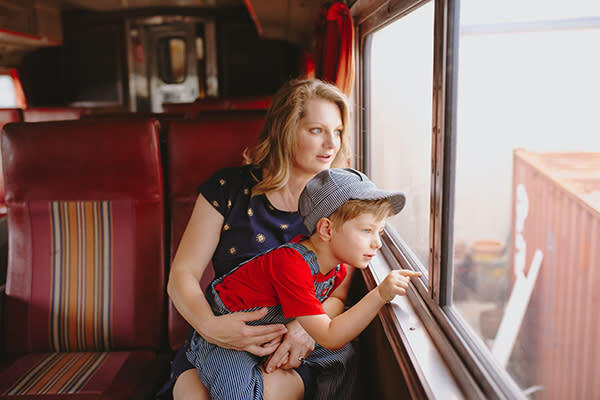 The most popular train rides for families are the Pumpkin Express and Reindeer Ride. The Ales & Rails Express is ideal for couples and adults. While in Atlanta, visit the expansive model train layout at Mr. Muffin’s Trains or grab a coffee and snack at the Choo Choo Café on Main Street. On US-31 while traveling north, stop by Wilson Farm Market and Lisa’s Pie Shop for more grab and go options. Sit down dining options near the Nickel Plate Express include Big Dog’s Smokehouse BBQ, 10 West, The Boathouse and DeLullo’s Trattoria.